The Vegas Golden Knights pulled the greatest Friday the 13th prank in their franchise’s nascent existence a couple weeks ago. Except it wasn’t actually a prank. The Golden Knights decided to introduce their new mascot to the world (presented by Geico!, for some reason) via their crazy-popular twitter handle, but failed to supply any more details on the fantastic beast for another hour and forty minutes. Needless to say, the immediate consensus reaction was…confusion. What is it? Why does look like the rock guy from Fantastic Four? Is it a dinosaur? Is it a golden Godzilla? Following a thorough investigation of the internet, I’m confident that not a single fan theory correctly identified Chance as the GILA MONSTER he is. Truthfully, when I heard he was a gila monster, I had a tough time understanding how the franchise had missed such an easy gimme and failed to just make their mascot a knight, but I’ve since changed my mind. After all, who says a mascot has to have any sort of semblance to the team they represent? 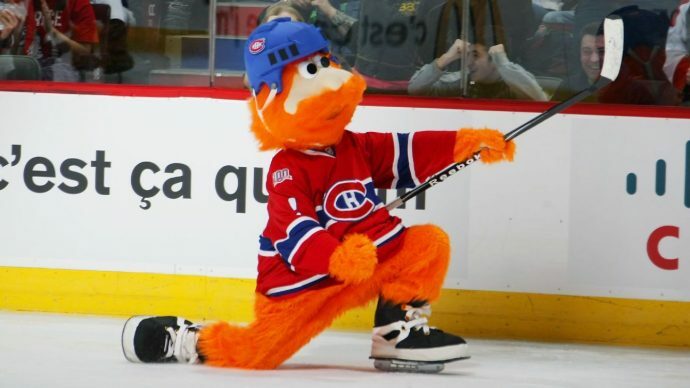 Certainly not the Phillie Phanatic, and don’t even get me started on the Montreal Canadiens and their offensively ginger Youppi! 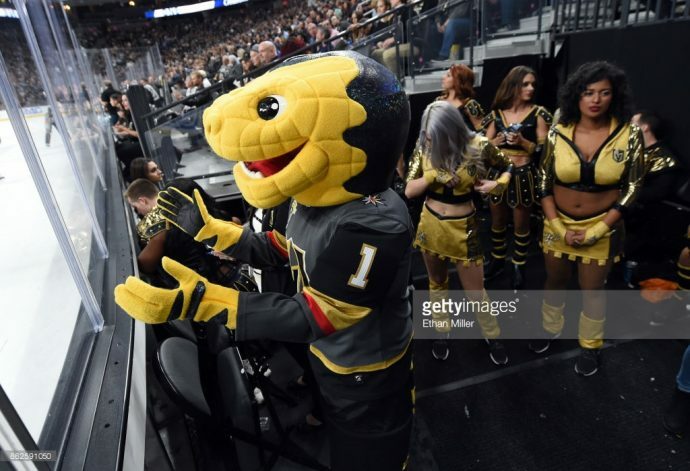 At the end of the day, I think Bill Foley and the Golden Knights’ media marketing group deserve a little credit for having the balls (and creativity) to green-light the use of a venomous, hardly-known, and near-threatened lizard as the face of their franchise. 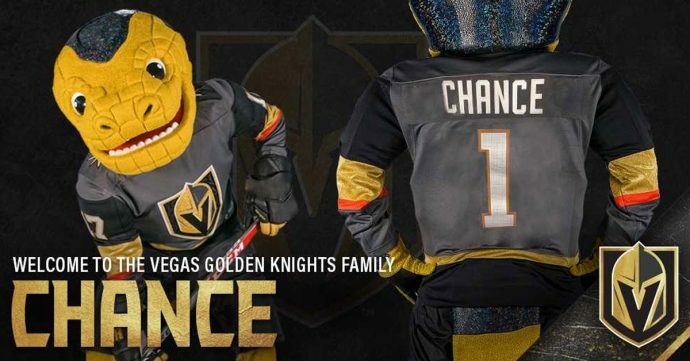 That being said, I feel like they missed a real opportunity to truly embrace the weirdness of their decision and go all out with a lizard costume; let’s be honest – that mascot outfit (designed by VStar Entertainment Group) is nothing more than a head and a set of gloves (yes, he wears hockey pants). That leads me to my only real criticism of the costume – the fact that the back of Chance’s head looks to be inexplicably coated with a thick shimmering and sparkling layer of unicorn spit. Intentional or not, a large part of this so-called-attraction is finding the damn thing in the first place. Tucked out of the way in the basement of the Tropicana like an awkwardly spectacled step child, it was virtually void of visitors when I checked it out this past Monday afternoon. Sure, Monday isn’t exactly the busiest day on the Strip, but I’m guessing a slightly sloppy production (how do you have spelling errors on digital displays 19 months into operation??) has something to do with the meager attendance. It was either that, or the unjustifiably high cost to get in (general admission is $33). It’s 2012, people. Spell-check has been a thing now for, like, 20 years. 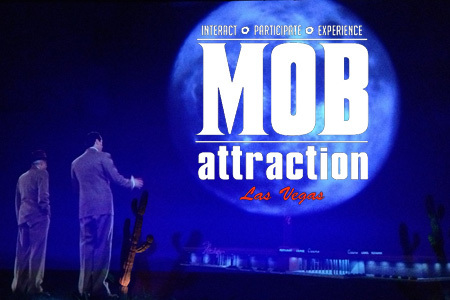 The entire premise of this attraction hinges on it being an experience rather than a museum, which is probably a good idea considering it comes off as being curated by an 8th grader that learned everything he knows about the mob from The Godfather: The Game on Xbox. A modest amount of indiscriminate information is presented to the attendee, which contributes to an overly characterized presentation of “the mob.” The same presentation cyclically vilifies and praises both specific members of the organized crime syndicate, and their activities. It’s honestly just plain confusing. Organized a bit like a choose-your-own-adventure story, a series of roughly 20 rooms are compartmentalized to allow small groups of people to privately interact with different aspects of the attraction. Several of the rooms feature period actors that contribute to the disappointingly roughshod storyline that the attendee is actually trying to join the mob as they make their way to the exit. Nothing was more disappointing, however, than the overly hyped use of holographic interactions. This was the single largest draw for me, but the experience included only two holograms; neither of which featured any actual holographic effects. They were essentially just filmed projections. Hardly any CGI involved whatsoever. Another notable feature of the attraction was the “movie theater” room that continuously looped a TLC documentary of the filming of original The Godfather. To the room’s credit, comfortable black leather benches were available for seating, but the documentary’s video quality was reminiscent of early 2000’s bootlegged Kazaa movies. 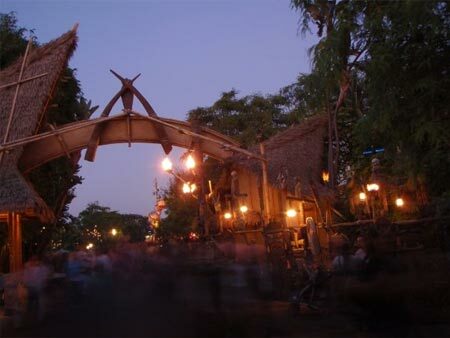 I wouldn’t be shocked if the attraction’s producer recorded the show as a YouTube stream and burnt it on to a DVD. In conclusion, this attraction is a complete waste of both time and money. I feel genuine embarrassment for anyone and everyone involved in its production. We rode for what seemed like days. Leaving the stony, desolate landscape of the small village from which we hailed, we headed west from Kansas City to embark on a quest to seize new adventures in far away lands. Several twists and turns were laid to waste in our path, and our relentless pursuit soon turned to pleasure when our eyes caught a glimpse of what rested on the horizon. 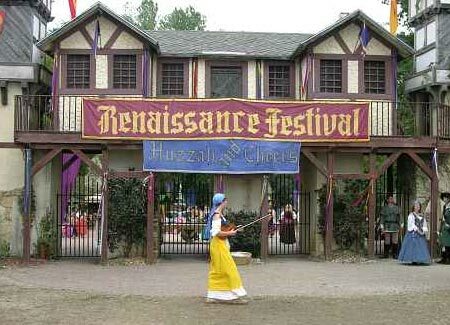 There, like a chalice shimmering of gold, we saw before us a lively kingdom hosting a mystical festival. 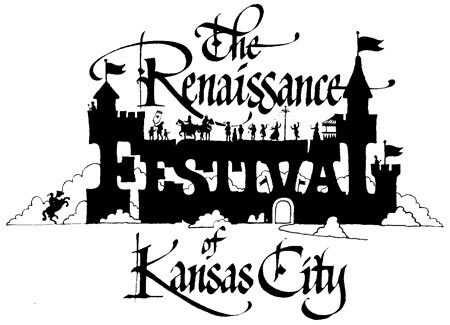 We would soon learn that the local townsfolk called it the Kansas City Renaissance Festival. We stowed our metal chariot in the stables and took to our feet to make our way to the town gate. The Royal Guard stood fast, armed with a strange looking weapon which rested in the palms of their hands. I had never seen anything like it before; it was like a small crossbow, yet it emitted a blinding red light! We traded a small amount of local tender for a pass that would grant us access to the town for the day. 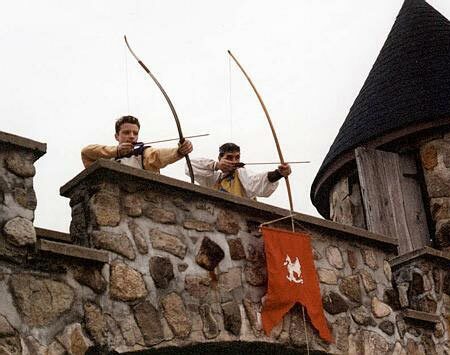 The Royal Guard held our passes to their weapons as we entered the town, and, to my surprise, their weapons spoke! This place truly was extraordinary. My party was bewildered at what we saw. In one direction, a troll with a massive spiked club spoke to humans half his size. In another, creatures of the Fae could be seen performing mesmerizing dances in perfect synchronization. We traveled to a gathering of peasants being amused by a trickster doing simple parlor tricks. His sleight of hand did not fool me as he turned six cards into six more, and then into six more once again. He used another trick where he asked a young serf girl to pull a card from the deck, and told the audience he would later identify her card after a series of complicated shuffles. It was not until he took the card and transformed it into a giant sized cloth version of itself that I became suspicious. This man was no trickster; he was a master wizard! “What is this SORCERY? !” I exclaimed, attracting gazes from the crowd. Had this taken place in Uther Pendragon’s Camelot, he would have been charged with treason and burnt at the stake for practicing forbidden magic. But alas, it did not, and at least for this day and night, the wizard would live to cast his spells for at least one more unsuspecting audience. An entrancing melody caught me by the ears and reeled me into the Royal Glade. 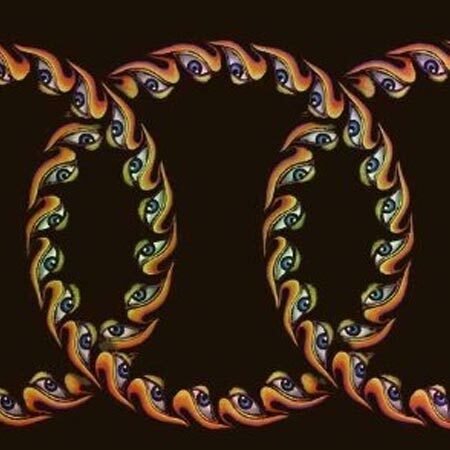 The tune was unmistakably familiar; I thought I had heard before it in my dreams of the future. In these dreams, a man by the name of Fibonacci would lead me through a black and white realm, and after some time, shades of red and yellow would begin to spiral and filter through to my reality. As I stood there in the Glade, I watched as two aerialists used a ring to repeatedly balance themselves on thin air, achieving infinite impossibilities. As they finished with their routine, I noticed that one had a tiny metal crank at the small of her back. Was she a mechanical being? Was she from the future? Was this the future? The lines of reason had been drawn, and I felt so far above and beyond them. Not far from the flying dancers was a competition to test the most dexterous of warriors. Several archery targets lined in a row invited those who thought they were the best to prove that they were the best. I looked to one of my companions, Kyle the Clever of Lawrence, and metaphorically threw down the gauntlet. I had not come prepared for a siege, and thus was out of my full plate mail and was unprepared to issue the challenge formally. I readied my longbow and sent my first arrow down range. I could see it warp as it glided through the air, and it stopped abruptly when it struck the outer ring of my target. Kyle’s crossbow bolt matched my arrow, and after a few rounds we were even and down to our last shots. I pulled the bow string tight, raised it to my right eye, breathed out slowly, and let it fly. I missed high. With a sly grin, Kyle loaded his last bolt and fired away. The kill shot hit dead center, and with it he bested me and lived up to his childhood nickname. 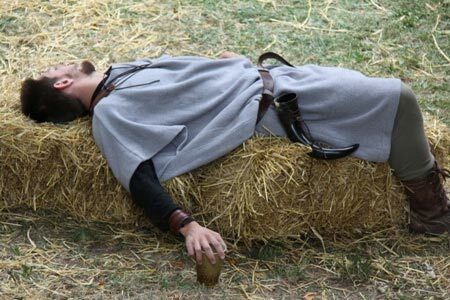 The contest had made us tired and weary, and my party found that we could hear strange noises coming deep from our bellies. 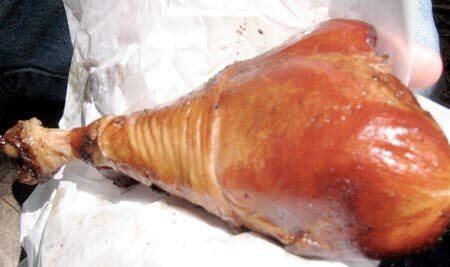 Another companion, Ryan of Westport, made a life saving suggestion, “Dude,” he said, addressing the whole group with the use of a singular noun, “let’s go get some turkey legs.” Intoxicating aromas met us at the shop, and we indulged in carnivorous sport. We ate like kings and we felt like kings. Judging by the horrified looks of disgust from the surrounding townspeople, they were fearful that we were kings plotting to overtake their lands. Foolish peasants! It was well past midday by now, and we ventured to Shadowgate Downs to find what was advertised by the town square criers as a spectacular jousting tournament. Not unsuspectingly, we would be there as spectators to witness the spectacle. Two titans clashed before us, their strength and will shattering their wooden lances like small frail twigs. 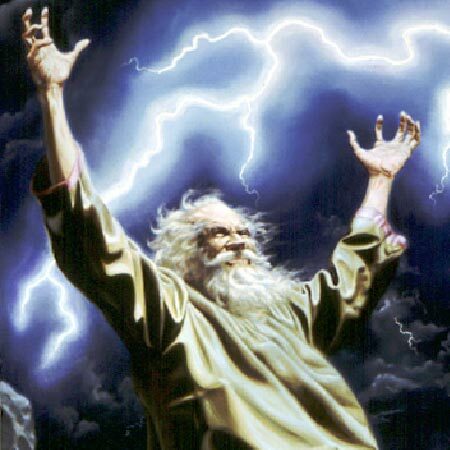 One in particular, the King’s Favorite, was taking a significant beating, and how he could live through such punishment was intriguing; perhaps he had been enchanted with enhanced fortitude by the aforementioned wizard. SORCERY once again looked to be running rampant through this kingdom. A scary moment occurred when the opposing knight caught the King’s Favorite on his back and in a spot of vulnerability. In an instant, he turned his aggression from the King’s Favorite and toward the King himself, and in unspeakable words he directly threatened His Highness and the crown. 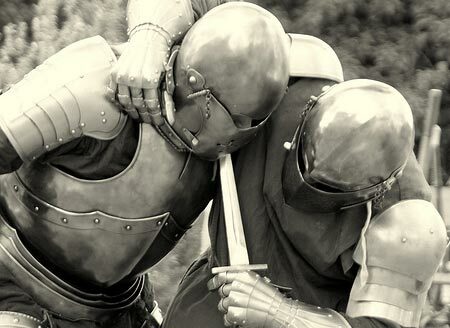 It was not long before the King’s Royal Guard stepped in and the knight folded to his knees in remorse. His squires fled through the grandstands in fear, and in vigilant inspiration I tried to chase them on foot. They disappeared into the crowd and escaped, but little did I know that it would be the least of my concerns. The ground trembled. Buildings shook and the sky turned to an uneasy grey. The smell of smoke filled the air, and the sound of a thousand footsteps reverberated throughout. The kingdom was under siege! The battle was unfolding before my eyes at Shadowgate Downs! A barbarian army outfitted with the most stalwart foam weapons ever forged made their way to the battlegrounds. The army was a motley crew; unbearded baby-faced dwarves no taller than my belt stood next to formidable aged men. They were lead by a commander who exuded foam weapon expertise, and the almost unnoticeable flush colored bruise-scars of previous conflicts told me he was a veteran of many, many wars where men had succumbed to foam. He roared. They charged. No blood was shed. The battle raged on like a gluttonous fire. Peculiarly, not one combatant would take more than a single strike before casually fleeing the battlefield. 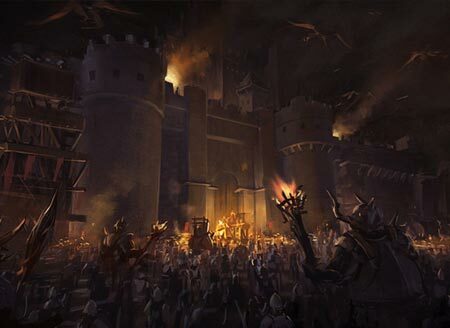 Seemingly unharmed and unhurt, the entire invading barbarian army was defeated, and a blanket of peace once again fell over this mystical kingdom. Before us stood our exhausted heroes, each still wielding the oddly shaped weapons they had used to keep us safe from their enemies. They had earned our unending thanks. They deserved our prideful cheers. Huzzah! Huzzah! Huzzah! Merely a few minutes later, the town seemed to return to normalcy. The streets and shops were again bustling, and playful music filled the air. We stumbled upon a pair of well-dressed noblewomen who were greeting visitors in the streets. Much to my surprise, and to my delight, it was none other than the kingdom’s beautiful princesses! How they felt so safe in the streets after having their home invaded just moments ago, I do not know. I, once again, suspected there was SORCERY at work. They spoke softly and offered kind words to us travelers, and one asked us how our time at their festival had been. I wanted to say that we had been having a better time than Mercutio the Meadhound at a tavern during single silver piece night, but that would have been preposterous given that she did not know Mercutio or his drinking habits. “It’s been pretty fun,” I told her instead, “although, this place is huge and I got lost a few times.” She laughed and directed me to where I could find the town gate when my companions and I were ready to leave. After inviting us back, the princesses went on their merry way, and so did we. No longer overhead was the Sun, and it began to creep closer and closer to meet with the horizon. My party had its fill of adventures for the day, and the lone objective of our quest turned into traveling back home. The Royal Guard still protected the gates with their strange crossbows, and we nodded to them as we left for the stables. 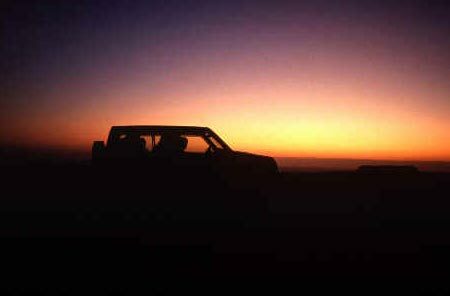 We rode away in our metal chariot back east to our village, and as I watched the glow of the festival fade out in the rearview mirror, I thought about the many stories I would have to share with our fellow Kansas Citians. I would speak of the faeries and of the flying dancers, and I would revel in our clever champion and in our turkey exploits. 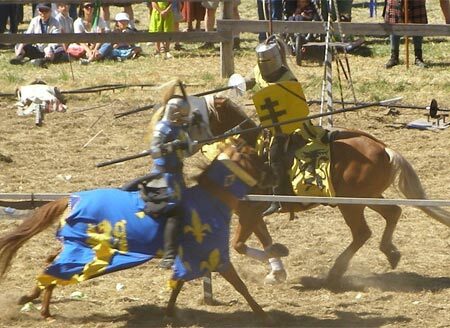 I would enthrall others with ballads of the spectacular jousts and of the vicious siege. I would tell tales of their royalty’s kindness and the hospitality that was shown to us travelers. But mostly I would tell people about the SORCERY. I don’t know who this Dave fellow is, but he’s certainly got some nerve mixing together two of my favorite things: popcorn and capsaicin. The opportunity to experience this self-proclaimed “hottest popcorn on the planet” set me back a cool $3.95 (who am I kidding, it was gifted to me [but the price tag was still on it]), a small price to pay to guarantee that creepy Orville Redenbacher doesn’t get my popcorn money. The bag was a standard 3.5 oz. affair, and just for reference, my 1000W microwave popped the bag to perfection in 2:05. Just like any company conscious of their customers’ personal safety, Dave was kind enough to include a warning near the bag’s opening: CAUTION WHEN OPENING: HOT STEAM. What Dave failed to do was include a subtext something along the lines of DO NOT BREATHE WHILE OPENING: PARTICLES OF SPICINESS WILL FIND THEIR WAY DOWN YOUR THROAT AND YOU WILL COUGH FOR AT LEAST 10 MINUTES. 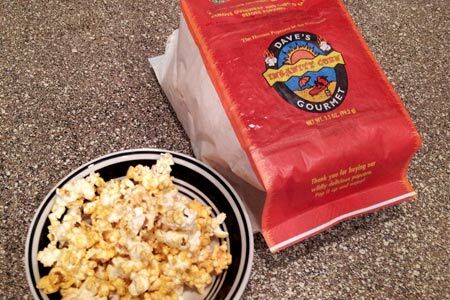 The popcorn itself was almost indistinguishably buttered, and the kernels were pretty uniformly covered in Dave’s spicy seasoning. With my very first bite, I could tell that whatever the spice was, it was definitely chili powder based. As a person who goes out of his way to eat spicy things, this popcorn didn’t have me scrambling for milk. That being said, I did manage to down two full pints of water as I worked my way through the bag. It’s definitely a pretty cool novelty food item, but its definitely not the sort of thing you’re going to want lining the walls of your pantry. Considering the price and the fairly basic chili powder taste profile, I’d rate this at a solid 2.5 X‘s. Full disclosure: Before I even opened this book, I’d already proverbially judged it by its non assuming cover and overtly pretentious title. I couldn’t help but wonder if perhaps Michael Masterson accrued his wealth not by selling books, but by skimping on cover-artist fees. 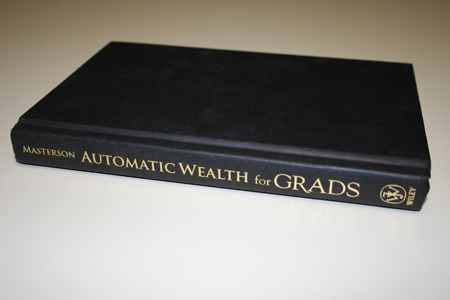 Aesthetics aside, the book totals 236 pages and is of enough mass to suggest it would contain some classically stodgy financial advice. However, this couldn’t have been further from the truth. Masterson’s pedantry becomes tiresome very quickly, and the majority of “advice” he offers would be more pertinent in a book titled Create Unsubstantiated Expectations of Personal Wealth and Convince Yourself You’re Happy While You’re at It. Most frustratingly, Masterson fills pages upon pages speaking to his successes while demonstrating an utter ignorance of the book’s target demographic. There are certain things recent graduates (college graduates, as he explicitly states in the book’s second paragraph) should be expected to have an understanding of – the economics of Thirsty Thursdays, the return on energy drink investments, and the compounding nature of interest. Far too much of the book is dedicated to meandering concepts college sophomores, let alone graduates, are already familiar with.